The new gaming and gadget store that will change the way gamers and gadget enthusiasts chase their passion…. A Specialized store that will encompass categories of entertainment from Gaming, Toys, Tech Gadgets, Mobiles, Movies, Music, Collectibles, Memorabilia & Lifestyle Accessories. The Gaming category comprises of the latest Gaming Consoles from Sony Playstation, Microsoft Xbox & Nintendo. An exhaustive range of games on all these formats both new and catalog shall be on display from various publishers from all over the world. A smart range of gaming Accessories & Gaming furniture is on display as well. Ask for your favorite subscription or top up cards and you shall find them here. Tech gadgets like the Play station VR headsets, high end Audio products, Speakers and Headsets go hand in hand with nostalgic vinyl players embedded with modern technology, many of which are exclusive to Gamers. The latest Mobile phones & Tablets from Apple along with their accessories and service are in store for our tech savvy customers. Gamers carry a relevant range of DVD’s & Blu Ray Discs – many of them in both 3D & 4K formats for the die-hard technology Fans. For the movie enthusiasts, Multi region Blu Ray players are made available at various price ranges. Can’t find your favorite movie? 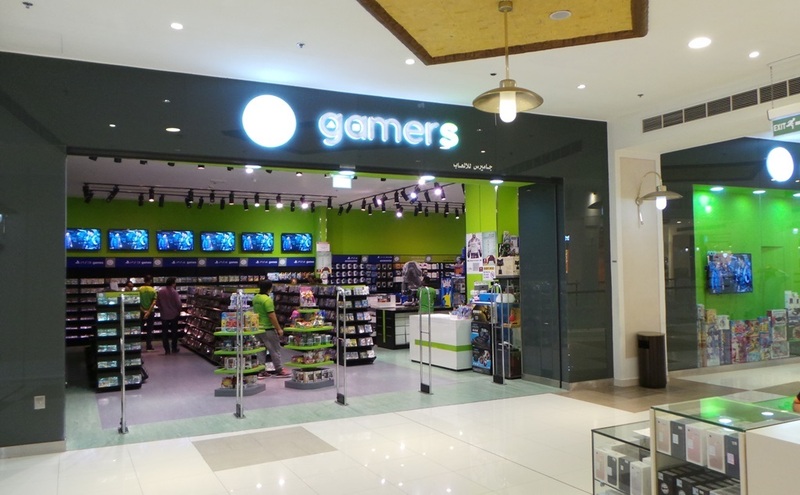 Leave a request at gamersgulfmall@fhec.com.qa and we shall source them especially for you. The toys section carries a range that is connected to the other categories – Collectible toys & characters from Games, Movies & Music are the ones to look for. Branded merchandise, Tees & Caps extend our product offering. Step in & experience the magic!